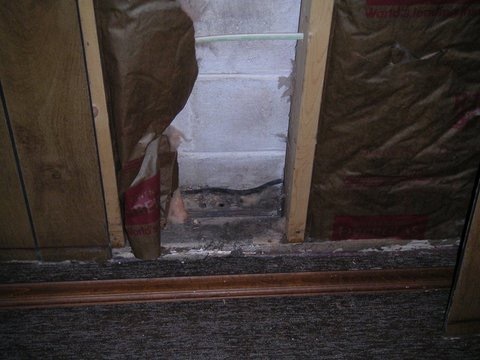 In Virginia our climate can get quite wet, which can lead to basement problems like mold, cracked walls, and other complications that that negatively affect the health of your home. If you have a finished basement that your family spends a lot of time in, it is especially important to have your basement inspected. That is why Virginia Basement offers basement inspections to ensure that your basement is comfortable, safe, and in top-quality condition. Our number one priority at Virginia Basement is to help you ensure that the basement of your home is safe and promotes a healthy environment for you and your family. Buying a home? Virginia Basement will be more than happy to perform basement inspections to ensure the home is up to code and safe for your family. Check your sump pump, which is an essential part of removing water from your basement. Our project manager will provide a detailed, written basement inspection report and carefully go over it with you so you can understand our findings. If you have questions or concerns, please ask! Having your basement inspected can nip problems in the bud and potentially save you thousands of dollars in repair costs.